Welcome to STRIPCO! 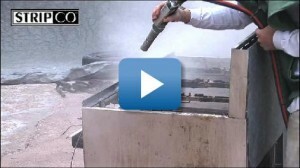 Your source for Sodablasting equipment, Sodablast media, materials, training and blasting services. Have you heard about the amazing, new sodablast system from StripCo? Now you can bring this system right to your home or office place with the Mobile Soda Blaster. Using baking soda as the magic ingredient, the sodablaster removes stubborn materials from almost any surface. It not only produces amazing results, the sodablaster is also water-soluble, non-toxic, non hazardous, and safe for the environment. What can the sodablaster be used for? Sodablasters have been used for hard to handle projects such as graffiti removal, auto restoration, chlorine applications, and many other jobs that people thought were impossible to do. How does the Stripco Soda Blaster work? It uses large amounts of compressed air and a small amount of granular baking soda to remove paint, grease, oil, and other stubborn contaminants without damaging glass, chrome, or even thin sheets of metal. The surface is left spotless and ready to paint after a simple rinse with water. 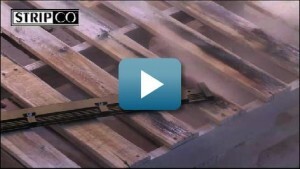 How cost effective is the Stripco Sodablaster? Since the soda blaster only uses one bag of blasting soda per hour, it is very cost effective! I’m interested in trying the StripCo Sodablaster! What do I do next? 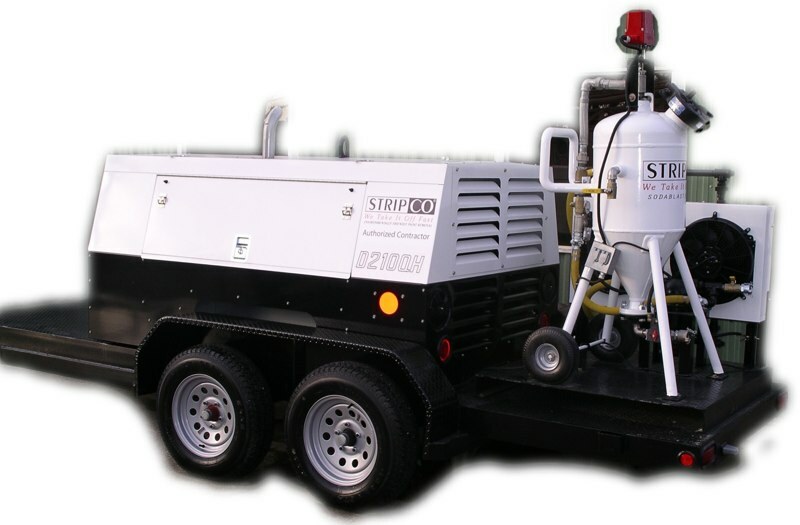 Call one of our professionals if you need something sodablasted or better yet, why not start your own business as a Stripco Authorized contractor. For a fulfilling and lucrative career, come be a part of the Stripco team. Financing and lease packages are available to help you begin this exciting career! For more information call 1-877-FOR-SODA. 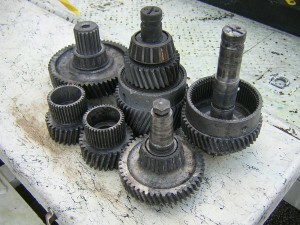 This set of images shows these industrial gears before and after we cleaned them with our Stripco sodablaster. Remove Powder Coat from an aluminum substrate with grooves. Thick grease is removed from the corners of a cook top. 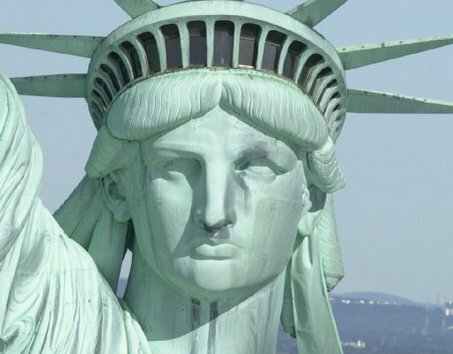 Sodablasting came about through a project to renew the Statue of Liberty in the late 1980's and early 1990's. 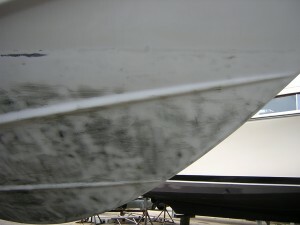 Sodablasting is a revolutionary process that can remove paint, grease, and neutralizes rust without damaging metal, glass, chrome or warp thin sheets of metal. Our process uses pure granular sodium bicarbonate (baking soda) delivered efficiently and effectively through our Stripco Sodablaster by using a large volume of compressed air. Copyright © 2009 Stripco. All Rights Reserved.